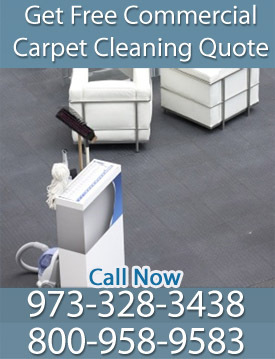 Are you looking for commercial carpet cleaning in ESSEX County, NJ? ACE Carpet & Upholstery Cleaning provides affordable and reliable carpet cleaning services for commercial clients throughout NJ. Our carpet cleaning and restoration professionals can help you refresh and enliven the carpets in your office or retail store. The amount of foot traffic your business’s carpet receives, whether by your employees or by your customers, presents a variety of challenges for your carpet. Over time, grime, stains, smells and other blemishes become embedded deep into the fibers of your carpet. A simple vacuuming is not enough to fully remove all of it. When you need a deep and effective commercial carpet cleaning in ESSEX County, NJ, ACE Carpet & Upholstery Cleaning can help you. Ace Carpet & Upholstery Cleaning has been providing carpet cleaning services to residential and commercial customers for over 25 years. At ACE Carpet & Upholstery Cleaning, customer convenience and satisfaction are our top priorities. That is why we are committed to each individual client's carpet cleaning needs. One phone call is all it takes and our team will be there to deliver the exceptional carpet cleaning results we are famous for. Whenever you need our commercial carpet cleaning services in NJ, we will be there! At ACE Carpet & Upholstery Cleaning, we utilize state of the art carpet restoration equipment and techniques to provide exceptionally deep cleaning on your carpet, ensuring that it's cleaned right the first time. Effective commercial carpet cleaning in ESSEX County, NJ starts at the surface level and works its way down to the base of your carpet, shaking free dirt, grime, germs and stains to restore your carpet back to its original state. Our carpet cleaning specialists pay attention to details and are committed to our many satisfied commercial clients. Let our affordable and reliable carpet cleaning services work hard for your business. If you are interested in commercial carpet cleaning in ESSEX County, NJ and would like a free carpet cleaning estimate, contact Ace Carpet & Upholstery Cleaning at 973-328-3438. We look forward to giving your business’s carpets a deep clean. Free Commercial Carpet Cleaning Estimate!